So, this week, I’ve literally gone from about 20 to 120mph in just 6 days. Talk about throwing yourself in at the deep end! But then again, I’ve always been an all or nothing person. 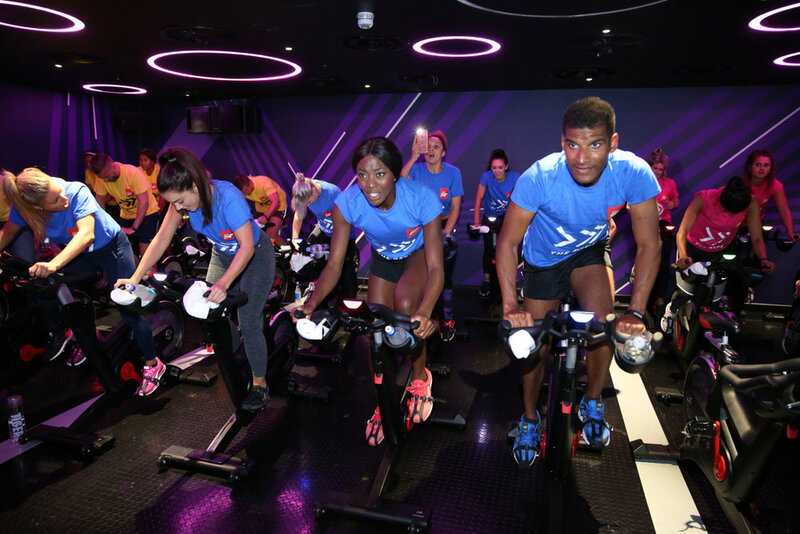 Basically, there are three teams… all on spin bikes… competing against one another, in four different challenges. Your bikes all have a small computer screen to show you just how hard you are or are not working. They’re also all hooked up to the big screen at the front. It’s basically pure gamification, which acts as a great incentive. It also makes even the not so competitive amongst us feel compelled to push that bit harder. Team spirit, eh! Looking back… I think I mainly accepted the invitation because I like HIM, not so much spinning. But, nevertheless, I went along anyway! After just 5 days into my 8 week body transformation, I can already see my abs starting to look more defined. Read more about this at the end of the post and watch the YouTube vlog. I’ve only been to around 3 spin classes in my entire life… and actually… come to think of it… I’ve I HATED every. single. one. of them. So what does spin feel like? I am NOT exaggerating… but you will get THE BEST body and super toned bum and legs if you keep this up! Be prepared to feel your heart race, your thighs burn and have enough sweat pour out of you to fill a small paddling pool. I really wish I’d paid attention to the screen, and looked at how many calories I’d burnt during this 45 min spin sesh… Apparently, you can burn up to 400-600 calories during a 40 min spin class! A proper sweaty mess… I was so grateful for the blow dry bar – and the much-needed lovely shower – to help transform me back into a normal person again afterwards. Team Yellow, our team, led by The Everyday Man, won first place for the furthest distance travelled! Yessss! Despite gritting my teeth through the entire thing, I did enjoy seeing a few familiar fitness & lifestyle blogger faces – The Everyday Man, The Discerning Man and Tashi Skervin – and even some new ones – Man About Town, Dan Cooper, and gorgeous girlies, peanutbutter.ellytime& sunshineandwaffles. See you all again soon, I hope! 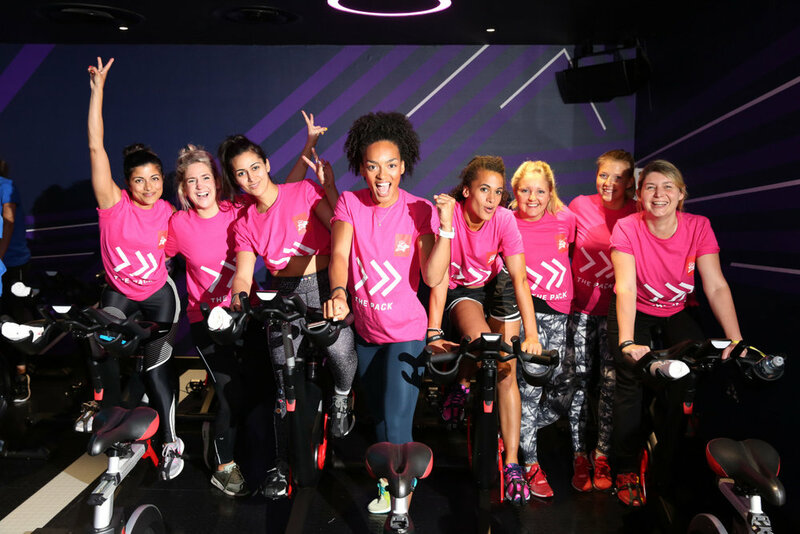 If you’re interested in trying a spin class? 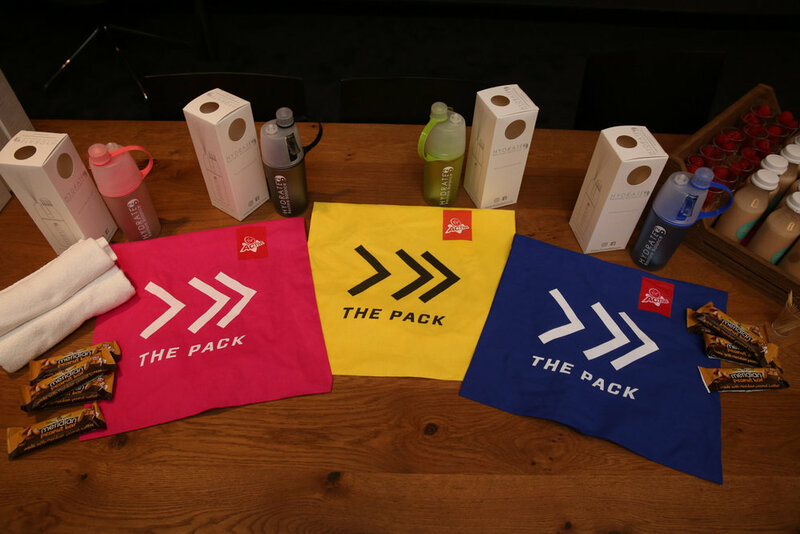 Find out more about The Pack. 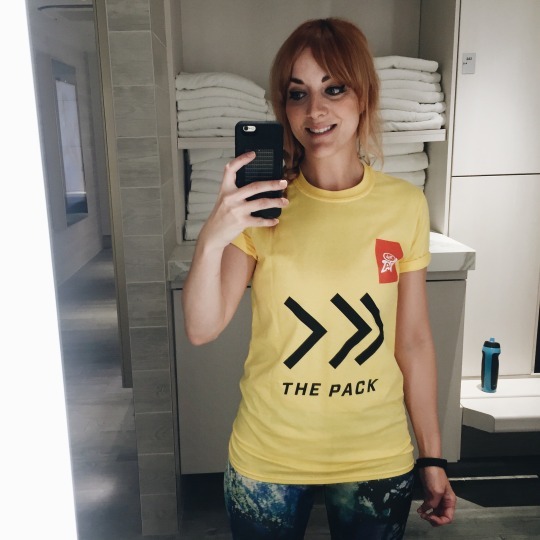 I’ve just finished week 1 of my 8 week body transformation challenge, with Taz from Nine to Five and Fit and Richard from Blitz Fitness. 1 x Tin of Tuna in spring water. * calculations are based on my measurements and body fat. This is so that I get the right amount of nutrients and protein, to achieve the best results possible. AND give my body everything it needs to get lean and build muscle. If you want to hear why I’m doing this 8 week body transformation, please watch my vlog above. Please ‘like’ and subscribe too. Thanks!